Imagine being at a networking dinner with your boss and you suddenly get that feeling of discomfort mixed with gassiness and stomach pain that tells you that you might need to use the bathroom and real soon! Does this situation seem familiar to you? For some people, this may just be an occasional occurrence that may have been triggered by a virus, lactose intolerance, or possibly even by food poisoning. Others, however, may experience these symptoms more frequently than normal. If this happens on a regular basis, you may want to get checked by a doctor or a health professional to determine whether you may actually have what is termed as irritable bowel syndrome or IBS. Let’s cut to the chase and talk hard facts about IBS: what it is, what causes it, the signs that indicate this condition, and most of all, how to avoid it. Irritable bowel syndrome is one of the most common disorders of the digestive tract. About 10-15% of people worldwide have IBS. It is a gastrointestinal chronic disorder that is characterized by pain, gassiness, bloating, alternating and frequent bouts of diarrhea and constipation, along with the urgent need to have a bowel movement. 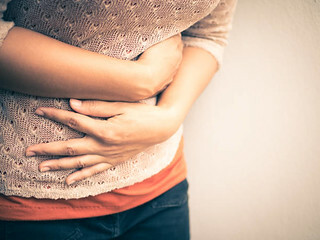 All these might seem like a regular stomach problem to you, but for those who have it, this syndrome can be quite debilitating since the discomfort happens more frequently than they would like. Consequently, those who suffer from it often feel depressed, embarrassed, and anxious. Once you have been diagnosed with IBS, your doctor will then try to determine whether you have one of three types: diarrhea-predominant, constipation-predominant, or mixed. Your treatment options will depend on the type of disorder that you have. Unfortunately, doctors have not been able to pinpoint the exact cause of IBS. Some people may have a more sensitive stomach than others. It could also be triggered by stress. The food you eat could likewise cause symptoms of IBS, particularly if you have a stomach that is sensitive to food allergens and the presence of gluten. Avoid foods that cause gassiness and bloating. Ask your doctor about the low FODMAP diet. FODMAP stands for fermentable oligosaccharides, disaccharides, monosaccharides, and These are carbohydrates that are not easily absorbed by the gut during digestion, thus they release gas and cause your stomach to become bloated. Animal milk, wheat products, beans, and some fruits and vegetables are examples of high FODMAP food that may irritate the stomach. Incorporate or decrease fiber in your diet. If your IBS is of the diarrhea-predominant type, your doctor may recommend that you cut down on foods that are high in insoluble fiber like cereals, wholegrain bread, bran, nuts, and If you have a more constipation-predominant condition, it is best to increase the soluble fiber found in your diet by eating food such as fruit (including their pips, pith, and skin), root vegetables, oats, barley, rye, and linseeds. Take gluten out of your diet. Additionally, taking in probiotics can help replenish the “good bacteria” in your stomach. Get enough exercise. Exercise has been found to reduce stress and lessen the symptoms of IBS. Your doctor will probably recommend a low-impact, moderate intensity type of aerobic exercise. Practice stress-reduction techniques. Mindfulness and meditation activities can help lower stress and anxiety, which often trigger the condition. There are also different types of medications that can help treat the disorder, such as laxatives to relieve constipation, antispasmodics to relieve abdominal cramping, and antimotility medicines that help with diarrhea. In general, it is a good rule of thumb to see your doctor if you suspect that you may have a chronic condition like IBS. It is best to educate yourself thoroughly on all treatment options available to you. For those who live in and around the Washington area, the Kirkland Health Institute in Kirkland can help patients suffering from this digestive disorder decide on the best way to manage the disease. We specialize in treating and managing chronic conditions like IBS using a patient-centered approach. We educate our patients fully on proper diet and nutrition to help them fight chronic disorders. Come to the Kirkland Health Institute today and experience the difference for yourself!